In 2011 my friend, designer and fellow artist Leslie Gutierrez Saiz made a special birthday party game for me–Loteria! It came complete with frijolitos and a pine box to hold the game in. The box exterior was inscribed with “La Victoria” on top of a blue star. Such a sweet treat! At the party Raul Paulino Baltazar helped me call out the cards and we both had fun inventing names for each of the images. 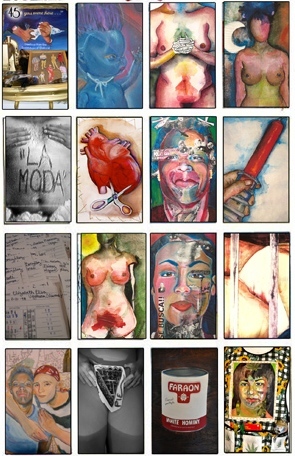 These are the Loteria La Victoria cards with images of my art on them.